Too much invention! Blow everything! Well, we should look at a v8 swapped Volvo 900 series. Check. Done. "I'm so hipster i'm over it before they did it." 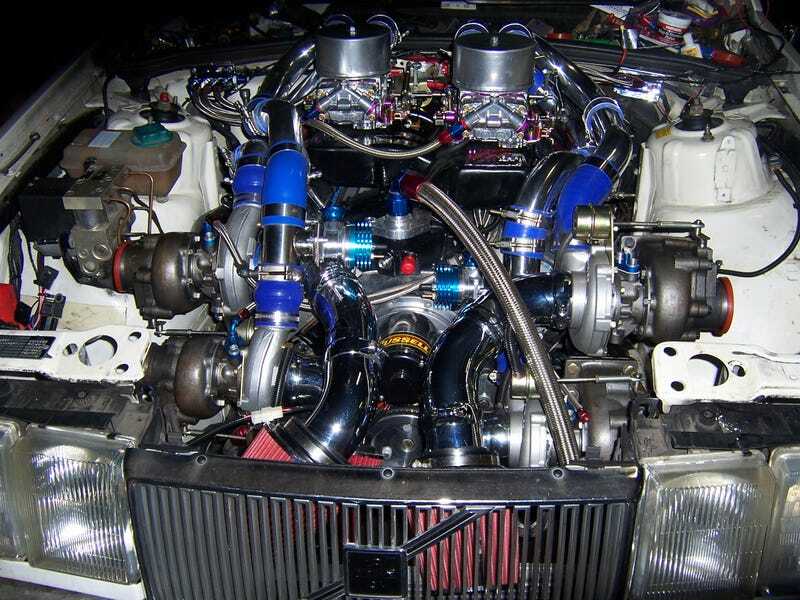 How about some turbos on that 511 cubic inch v8 will that be cool enough? "Well, kinda, i mean who hasn't put some turbos on a v8." Well let's just sprinkle four of them on this thing and then, "What?...kerpfuffle.."